THE DAVID TEAM IS YOUR NEIGHBORHOOD EXPERTS. OUR FOCUS IS YOU AND YOUR GOALS AND OBJECTIVES. We achieve this by providing you with the best results and service in the industry. We listen carefully to understand your real estate goals, timing and we work hard to create solutions that make sense for you and your family. This includes advising of available financing options, rent or lease options, market trends, schools, commute times and distance, etc. We have the proven resources, business partners, and track record to help you achieve your goals. As is often said, real estate is about location, location, location. It is also about pricing, competing properties, jobs, and related market trends. CONTACT US TODAY - WE WANT TO EARN YOUR BUSINESS. Buy and or Sell with The David Team today. 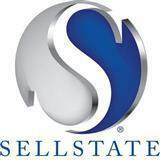 This is a one-stop real estate website for all your real estate buying and selling needs.